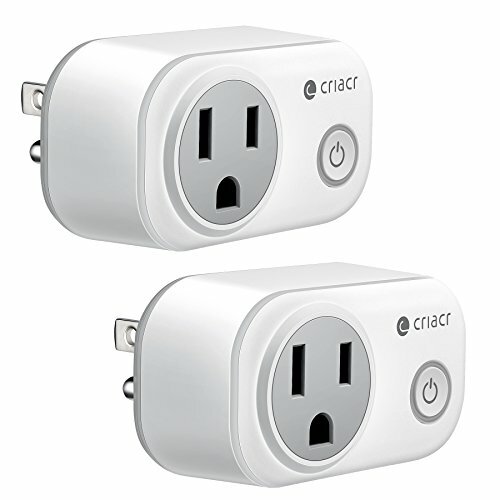 Mini smart plugs are useful equipment to make you have a smart life. They can make your household appliances more intelligent and convenient. Voice control & remote control by smartphone, compatible with Amazon Alexa and Google Home. With ETL & FCC approved, sleek, mini & compact design, safe to use & save space. Timing function, customize your schedule, household appliances turn on/off according to your scheduled. Energy monitoring, display the power consumption, support status tracking, save energy and extend product life. Please read the user manual before using. Please keep products in a good and safe use condition. Do not disassemble the plugs, otherwise there may cause security risks.